SIMFEROPOL -- Russia-imposed authorities in Crimea have detained a prominent lawyer, Emil Kurbedinov, his colleagues say. 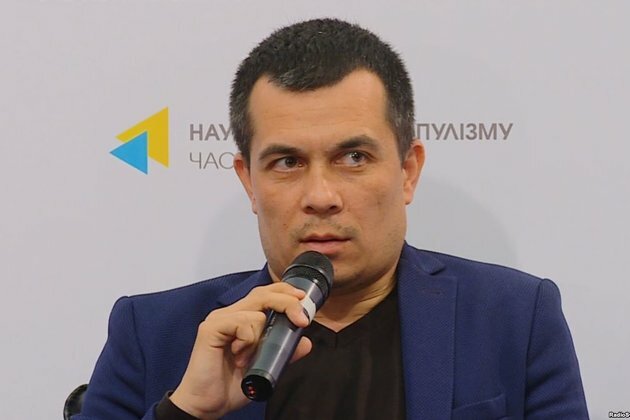 Attorney Lilya Hemedzhi told RFE/RL that officers from the Russian Anti-Extremism Center detained Kurbedinov on December 6 in Simferopol in a case linked to a social media post made before Russian forces seized Crimea from Ukraine and annexed the peninsula. Polozov also noted in a December 6 statement posted on Facebook that Kurbedinov is currently representing some of the 24 Ukrainian sailors seized by Russian special forces on November 25 along with three Ukrainian navy ships off the coast of Crimea. 'I call on the lawyers' community, public organizations, and representatives of international organizations to immediately react to another gross violation of lawyers' rights,' Polozov wrote. The quality and independence of Ukraine's media as a whole are still limited, and RFE/RL's Radio Svoboda is the country's most popular and trusted international broadcaster. Radio Svoboda celebrated its 60th anniversary in 2014.